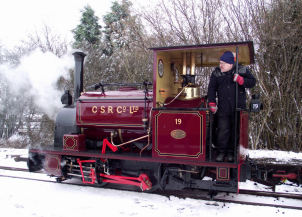 This year’s Summer Steam Gala will be held on 15th & 16th June 2013, we will be running an intensive service of steam locomotives pulling both freight and passengers around our 1 mile track. 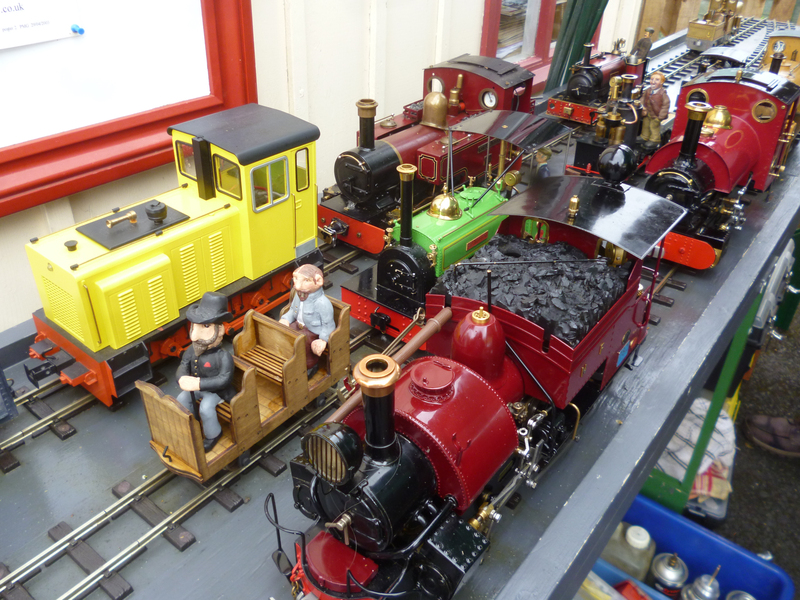 Trains will be running from 11am until 5pm on both days. 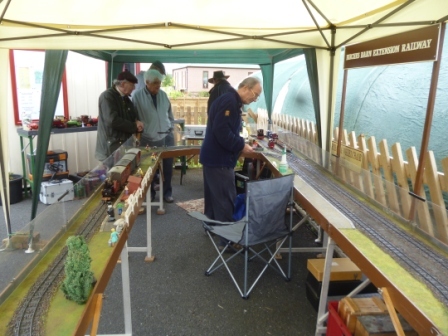 There will also be other displays of interest while at the railway, and the café and bakery at Amerton Farm will be open serving an assortment of delicious food throughout the day. 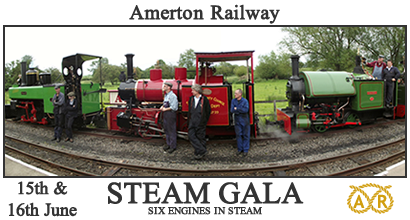 As always we are after volunteers and the gala gives you an excellent opportunity to meet the amazing team of volunteers Amerton Railway has. If you are interested in becoming a volunteer by all means please ask any one of us throughout the day. As you can see, we have an excellent line up this year! 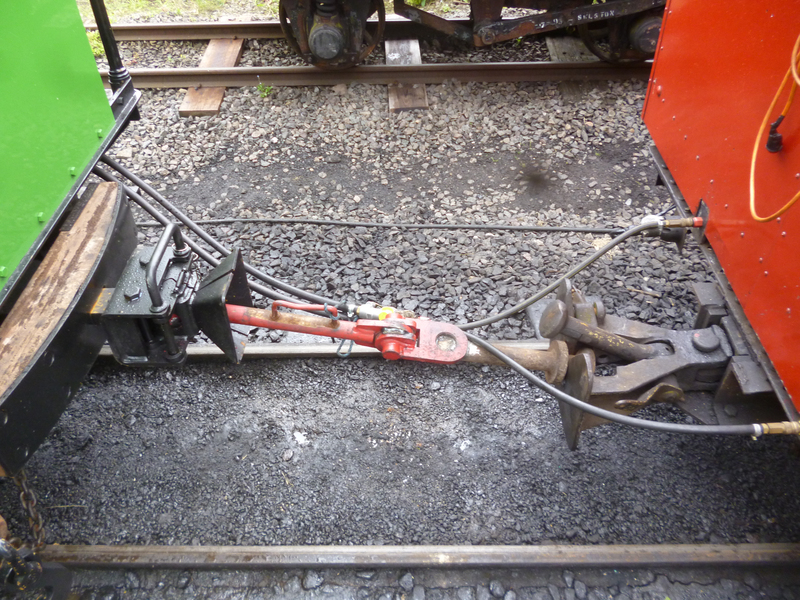 Not sure what to expect of our 2013 steam gala? Have a look at last years! Saturday 16th June. 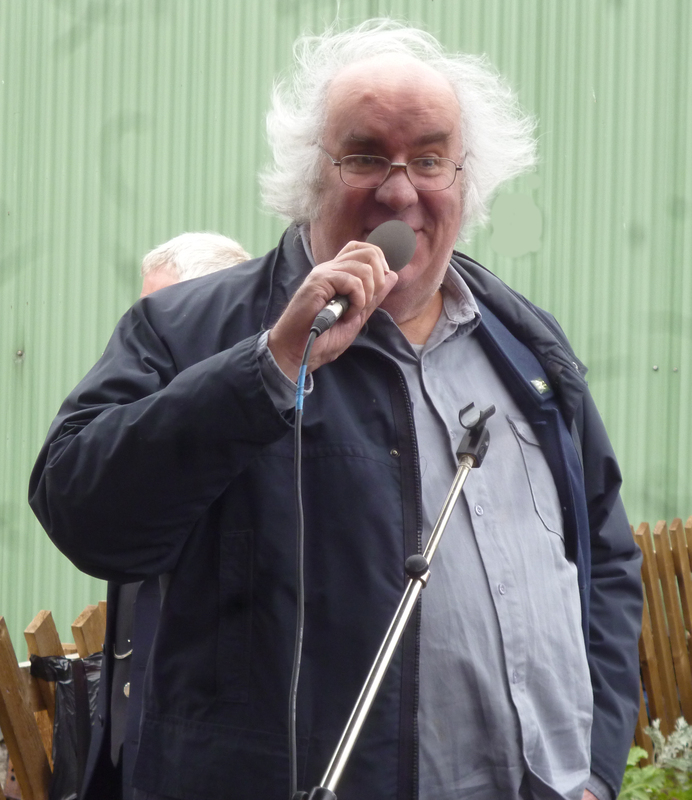 A little-known fact is that he was a train driver and railway worker in London before his retirement and involvement in television. 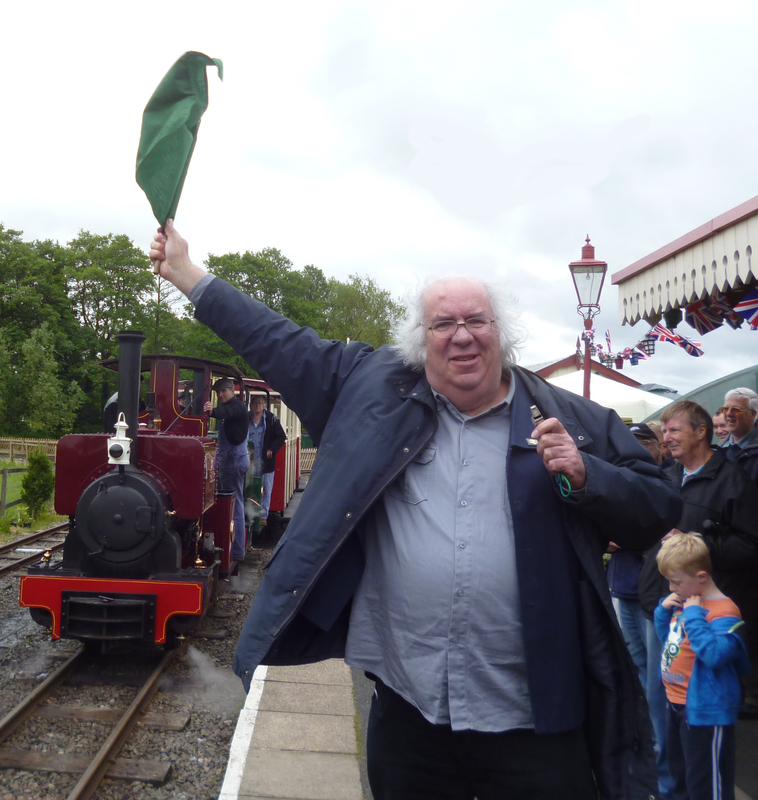 Chris addresses the assembled steam enthusiasts, and waves a green flag to open the 2012 Gala. Hudswell Clark Bronllwyd built 1930, a recently restored industrial narrow gauge locomotive, one of the very few of this class of well tank locomotives still extant in the world. Built for Surrey County Council for use in building the Guildford by-pass by Hudswell Clark, GP39 no. 1643 of 1930 is a 0-6-0 well tank. 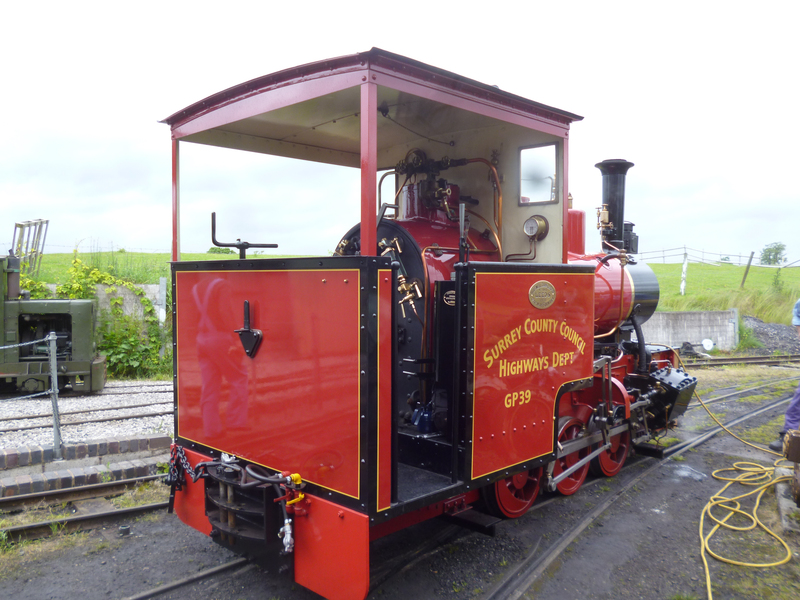 She was later sold to the Penrhyn Slate Quarries in North Wales, where she was renamed Bronllwyd. 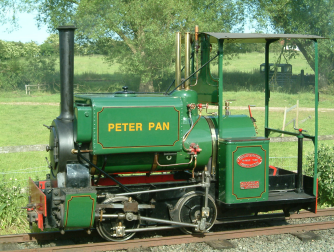 The boiler was later used on Hunslet Pamela and the frames were purchased as scrap by Alan Bloom of the Bressingham Steam Museum. 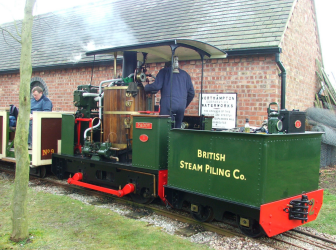 Later, the boiler from Kerr Stuart Stanhope was acquired, and after a complete rebuild the locomotive went into service in 1969 on the Nursery Line at Bressingham. 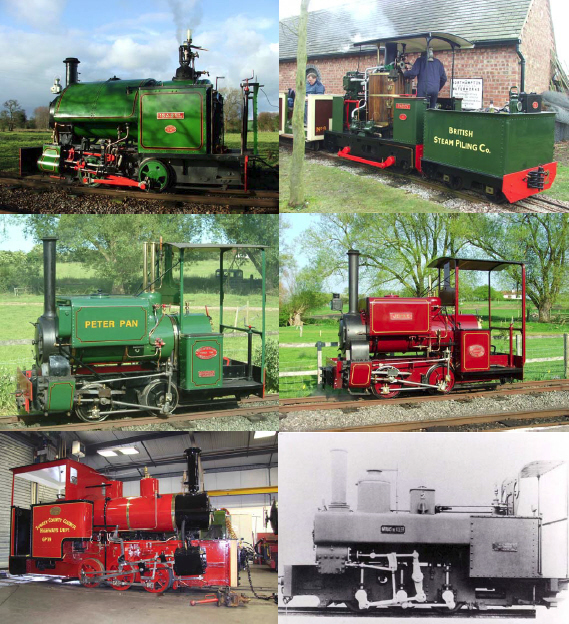 Recently purchased by Statfold, the locomotive has been completely overhauled, with a new Kerr Stuart pattern boiler built at Bressingham. Statfold have made some compromises, in that she still carries an incorrect boiler, and she is presented in SCC livery as GP39: two cylinders 6 1/2 inch x 12 inch stroke; coupled wheel diameter 23 inch; grate area 4 sq ft; working pressure 160 lb; tractive effort 3300 lb; weight 6 tons 18 cwt. Corpet Minas de Aller No. 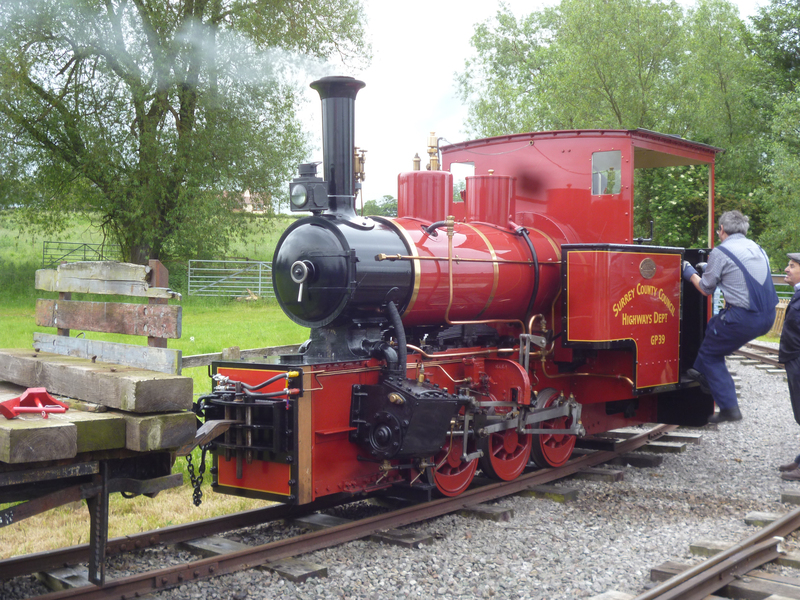 2 built Paris 1884, a very special visitor which completed restoration in late May 2012. Corpet no. 439 of 1884 was built by Corpet in Paris for use in a coal mine in Spain. 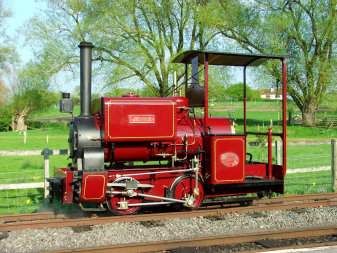 She was one of five locomotives of the type at Minas de Aller, and indeed the colliery built a sixth example from spare parts.Minas de Aller 2 is most unusual in that she uses an indirect drive and Brown Valve Gear, an unusual arrangement more usually found on rack locomotives, particularly on those constructed by the Swiss Locomotive Works at Winterthur. 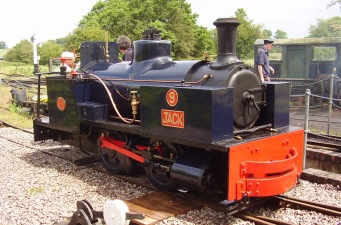 She is also technically a pannier tank, and has Salter valves on the dome. The locomotive remained in use until the 1960s before being preserved in Spain. 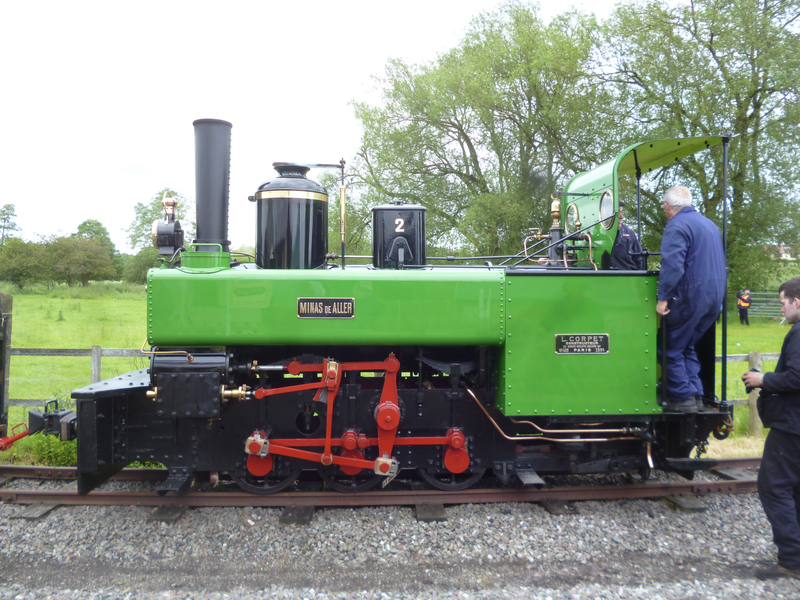 Statfold imported the locomotive in 2010 and since then has undertaken restoration to the original condition, complete with a shapely weatherboard cab. 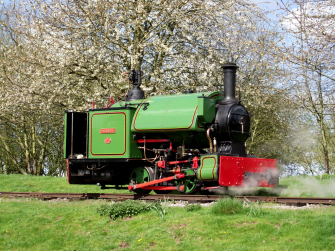 The 2012 Amerton Gala was her first outing away from Statfold, having only returned to steam in May 2012.